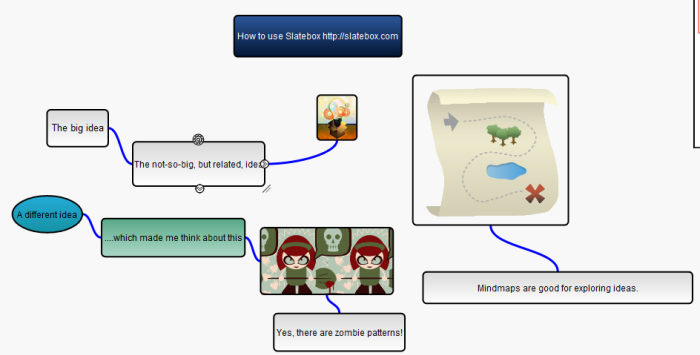 I’m always on the look-out for easy-to-use, cloud-based mindmapping tools and recently came across SlateBox, a tool developed by Tim Heckel. Registration is free for individual users of SlateBox. If you belong to an organization or educational institution, you’ll want to check into some of the plans described here. Still, the free option is pretty nice. 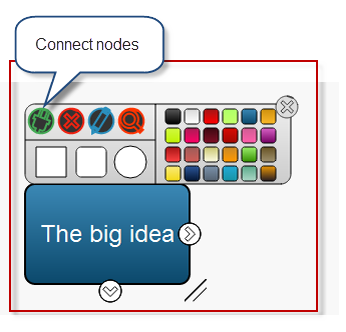 You have the ability to create unlimited mindmaps (“slates”) which can be private or public. First one….Don’t forget to close the welcome screen so that you can access more of the menu. Save that slate! The menu’s fairly self-explanatory as you poke around. Accessing “Properties” allows you to make the slate public or private. 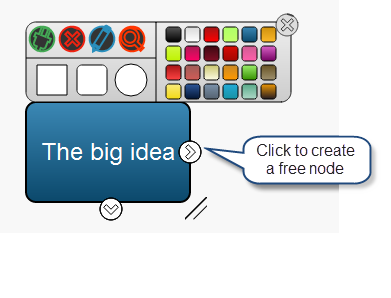 Even with the individual option, you can collaborate with one person by sharing a provided link. The premium versions of SlateBox will give you more flexibility as edits can be made and viewed in real-time by multiple collaborators. Similarly, node options are fairly intuitive. 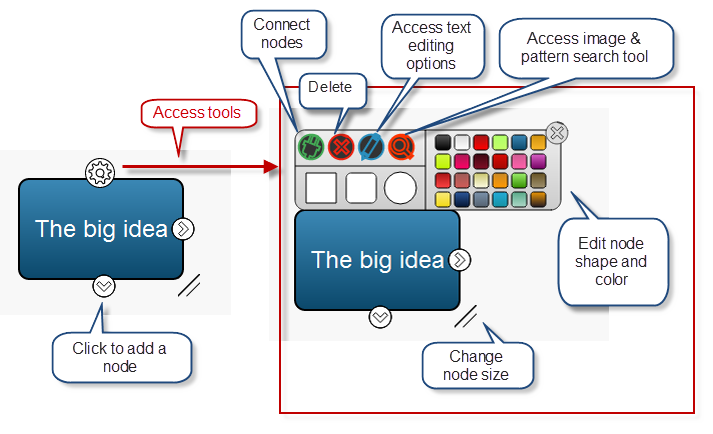 Click on the gear icon to edit the look of your node and access additional features of SlateBox. Clicking on the “plug” icon gives you the ability to connect nodes. If you click on the down arrow to create a node, you’ll automatically get a connected node. You can move it around easily to reposition it. You can add images or patterns to nodes by accessing the magnifying glass icon via the gear icon. 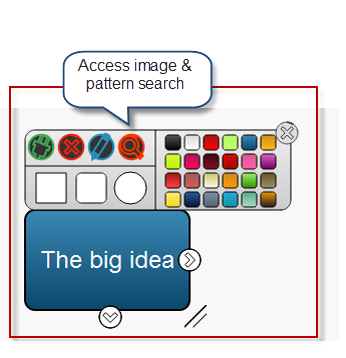 When using the image search option, you can filter according to a desired image size. You can add text directly to an image, but a particularly nice feature of SlateBox is the ability to overlay nodes which gives you a bit more versatility. Unfortunately, you can’t search for a specific link to an image (for example, one you’ve previously identified on Flickr) or upload an image from your hard drive. However, nits aside, SlateBox is a fun visualization tool that’s easy to use. This last feature is a particular value-add. To see how it works, check out this page. The tool’s evolving and features are being developed with both organizations and educators in mind, so if you belong to either of those groups you might want to check SlateBox out and provide some feedback.